We built Chineselawyersinfo to be a platform where individuals in need of legal help can easily connect with qualified attorneys. Our mission is to make the process of finding and hiring a lawyer as smooth and painless as possible. But, along with that objective comes some expectations about how our platform can and cannot be used. As long as you agree to the terms, we would love to have you as a valued user of Chineselawyersinfo! If you have any questions about any part of this contract, please contact us. We will be glad to help explain the meaning of these terms and why they are important. We are also open to suggestions if you have ideas of how our system or these terms can be improved. “Authorized Communications” or “Communications” are any means of interacting with other users through the Platform, including but not limited to the following: sending messages either on site or via email so long as the content of the email message is posted to Chineselawyersinfo; sending or requesting Price Quotes; creating projects; requesting or scheduling phone consultations; or calling an Attorney’s direct phone line provided by Chineselawyersinfo. II. Chineselawyersinfo Is An Internet Marketplace That Facilitates The Connection And Communication Between Our Users. The Service may also include payment processing for services delivered, in the event that both the Lawyer and Client agree to establish a paid relationship. However, Chineselawyersinfo makes no warranties or representations regarding the actual processing of payment as we have a 3rd party payment-processing affiliate with independent terms to which all Users must adhere. Chineselawyersinfo itself does not provide legal advice. Chineselawyersinfo is not an Attorney referral service and does not endorse any particular Attorney. Chineselawyersinfo is a neutral, third party Platform that takes no interest in the actual rendering of legal services. Chineselawyersinfo makes no guarantees that Users will successfully find a Lawyer through our Service. Chineselawyersinfo takes no interest in, and offers no opinion on, when or if an attorney-client relationship is formed. Formation of an attorney-client relationship is a matter to be handled entirely by the Lawyer and Client on their own terms and in accordance with local law. We do encourage both the Lawyer and Client to use our platform freely for any communications throughout this process. Chineselawyersinfo does not involve itself in the agreements between Lawyers and Clients, nor the work generated by any Chineselawyersinfo Users. Although we take steps to ensure we deliver a quality Service, we cannot ensure the quality of any work delivered by Users on Chineselawyersinfo, or the integrity of any party in an agreement. The User, and not Chineselawyersinfo, is solely responsible for making an assessment about the integrity and trustworthiness of any persons with whom the User communicates, hires, or pays while using the Service. Any use of the Chineselawyersinfo Service is solely intended for the purpose of facilitating interactions between a prospective Client and Lawyer. While Attorneys and Clients may choose to establish an attorney-client relationship following engagement through one or more means of Authorized Communications on the Platform, the mere use of the Platform alone is not intended to, nor will it create an attorney-client relationship between any two Users, or between any entity or User and Chineselawyersinfo itself. Chineselawyersinfo makes no endorsement of any kind regarding its Users. Chineselawyersinfo is solely a platform to allow for Communications between Attorneys and prospective Clients. Chineselawyersinfo makes no representation concerning an Attorney’s abilities or qualifications, with the exception that Chineselawyersinfo took reasonable steps to verify the following: 1) that the Attorney was licensed to practice law in at least one state at the time of registration; 2) that the Attorney had no public records of malpractice, ethical violations, or other misconduct reported on his/her record with the corresponding State Bar Association. Chineselawyersinfo disclaims all liability in the event that an Attorney listed on the Platform does not maintain the requisite standards for admission, falsely represents their information, or commits any act of malpractice or misconduct. Chineselawyersinfo does not monitor the accuracy of statements or other information that Users submit on the System. Chineselawyersinfo reserves the right to screen and/or remove Client projects for quality assurance purposes. Chineselawyersinfo is not a law firm, lawyer, or other provider of legal services. Chineselawyersinfo does not offer legal advice, recommendations, mediation, or legal counseling under any circumstance. Chineselawyersinfo is not a party or participant in any provision, rendering, receipt or solicitation of any legal advice, opinion, counsel, information, or guidance. Chineselawyersinfo discourages Users from accepting as true any information received from any source found on this Service, unless it is through Communications with an Attorney that the User connected with on the Platform. Chineselawyersinfo is not a lawyer referral service and does not provide such services. Chineselawyersinfo provides on its platform a directory of participating Attorneys, which is provided solely for the purposes of information, advertising, and communication. Chineselawyersinfo provides tools to assist Clients in identifying relevant participating Attorney(s) who may help them with their legal needs, but Clients acknowledge that Chineselawyersinfo does not recommend, endorse, or qualify any particular Attorney. Chineselawyersinfo takes no interest in the process of hiring an Attorney whatsoever. Hiring an Attorney is done solely at the Client’s own discretion. Chineselawyersinfo allows Clients to solicit Price Quotes from Attorneys related to specific types of legal services. Lawyer Price Quotes are not to be considered unauthorized solicitations because they are only sent in direct response to a prospective Client that has expressly indicated the desire to be contacted by an Attorney upon submitting a request into the System. By submitting a project or request, all Clients thereby authorize one or more Attorneys to contact them directly through the Service by any means of Authorized Communications in regard to their legal matter. Chineselawyersinfo is offered as a free service for Clients in need of legal help. Chineselawyersinfo does not partake in unauthorized fee sharing of any kind with Attorneys. Lawyers may be charged various fees for their ongoing use of the Chineselawyersinfo service, including but not limited to the following: monthly subscription fees, advertising and marketing fees, and transaction and/or payment processing fees. If Attorneys and Clients choose to formalize the scope of their attorney-client relationship, it is to be done on their own terms, regardless of their use of the Chineselawyersinfo platform. Chineselawyersinfo does not monitor any such documents or contracts exchanged between Lawyers and Clients through the Platform or otherwise. Chineselawyersinfo is solely meant to allow for and facilitate communications between Users, and is thus akin to an email service for purposes of sending documents and communicating. Chineselawyersinfo does not define what the scope or nature of the attorney-client relationship will be and takes no interest in it whatsoever. Chineselawyersinfo makes no representation, guarantee, or warranty (express or implied) as to the legal ability, competence, or quality of representation provided by any of the Attorneys, law firms, or legal service providers listed on the Platform. All Attorneys on the Chineselawyersinfo platform should perform conflicts checks in accordance with the appropriate state bar ethical rules before interacting with Clients or viewing information submitted by Clients on the website. Conflicts checks are to be performed independently of the Chineselawyersinfo platform. Chineselawyersinfo seeks to provide enough relevant information for the Attorneys to make an accurate estimate of the cost to provide the required legal services. In the event that an Attorney receives information about a Client that would compromise the provision of legal services due to a conflict of interest, the Attorney, and not Chineselawyersinfo, is responsible for any damages or ethical violations that may result. In order to make sure the Chineselawyersinfo platform remains valuable and useful for all Users, it is important that Users abide by the rules. Chineselawyersinfo reserves the right to deny further access to its Service to any User who violates these rules, is the subject of complaints by other Chineselawyersinfo Users, or for any other reason or no reason at all. When operating on the Chineselawyersinfo Platform you are required to comply with the ethical or professional rules of conduct of the jurisdiction in which you are practicing law at all times and Chineselawyersinfo will not be held accountable for any violations of any ethical or professional rules of conduct. Do not use the Chineselawyersinfo Platform for any reason other than connecting with lawyers for the purpose of seeking legal representation. Any solicitation of commerce to the Lawyers on the Platform is strictly prohibited. compromise the security of the Service Chineselawyersinfo provides. Do not try to gain access to system areas private to Chineselawyersinfo, or to other Users. Chineselawyersinfo provides Attorneys and potential Clients with an Internet forum that acts as an open marketplace. Chineselawyersinfo is not responsible for the content of materials posted on its platform. The opinions and views expressed are those of the individual Users of the Service and do not reflect those of Chineselawyersinfo. Data submitted by Users (both Attorneys and Clients) is not verified for accuracy in any way before it appears on the Chineselawyersinfo platform. Please use caution and common sense when using our Service. Chineselawyersinfo may from time to time take steps to verify that Attorneys on the platform remain in good standing. However, Chineselawyersinfo does not continuously or regularly review the standing of any Attorney with any regulatory authority. Chineselawyersinfo takes steps to attempt to verify that all Attorney members were in good standing at the time of registration only. 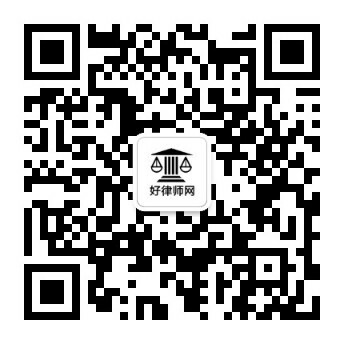 Chineselawyersinfo is unable to track, or continually monitor the standing of each attorney using the Service. Therefore, Chineselawyersinfo makes no representation regarding the current status, standing or ability of any attorney or law firm that is listed on the Service. When considering employing any Attorney or law firm, the Client is solely responsible for checking the Attorney’s current standing with the state bar and reviewing the Attorney’s background and experience level. Chineselawyersinfo is not responsible for, and in no way endorses, any description or indication of specialization or limitation of practice by an Attorney or law firm. Please be aware that no agency or board may have certified such attorney as a specialist or expert in any indicated field of law practice. In addition, an attorney claiming specialization is not necessarily any more expert or competent than other attorneys. It is up to the Client to question the Attorneys on the factual basis of any statement they make and verify the accuracy of all information. Users are encouraged to use caution when reviewing Price Quotes and any other information submitted by Attorneys. Although Chineselawyersinfo strongly encourages Attorneys to comply with all regulations governing Attorney conduct, it is impossible for Chineselawyersinfo to monitor members’ integrity or compliance with applicable rules of conduct. Chineselawyersinfo in no way endorses the content or legality of any responses, statements, or promises made by Attorneys or any other parties, on or off the Chineselawyersinfo platform. Chineselawyersinfo makes every effort to maintain the confidentiality of any information submitted by Users to our Service and stored on our databases. However, because we cannot control the conduct of others, we cannot guarantee that this information will remain confidential. Please use caution when deciding what information to share or disclose when using the Service. Do not make any confessions or admissions. Do not provide any other highly personal, sensitive, or incriminating information. Chineselawyersinfo is not responsible for the release or improper use of such information by other Users or any release of information due to error or failure. Chineselawyersinfo reserves the right to screen and monitor Client questionnaires and messages between Users for quality assurance purposes. However, these communications will never be displayed publicly or intentionally disclosed to anyone outside of the Chineselawyersinfo organization. By using the service, Clients agree that Attorneys contacted through the Service may report to Chineselawyersinfo on whether their services were engaged by the Client, as well as the total Attorney’s fees paid. The User agrees that Chineselawyersinfo is not responsible for any harm that the Service may cause directly or indirectly. The User agrees to indemnify, defend, and hold Chineselawyersinfo harmless from and against any and all liability and costs incurred in connection with any loss, liability, claim, demand, damage, and expenses arising from or in connection with the contents or use of the Service. The User agrees that this defense and indemnity shall also apply to any breach by the User of the Agreement or the foregoing representations, warranties and covenants. The User further agrees that this defense and indemnity shall include without limitation attorney fees and costs. The User also agrees that this defense and indemnity shall apply to Chineselawyersinfo, its affiliates, directors, officers and employees. Chineselawyersinfo reserves the right, at its own expense, to assume the exclusive defense and control of any matter otherwise subject to indemnification by the User and the User shall not in any event settle any matter without the written consent of Chineselawyersinfo. Chineselawyersinfo is not responsible for any loss of data resulting from accidental or deliberate deletion, network or system outages, file corruption, or any other reasons. Chineselawyersinfo reserves the right to modify the Terms of Service for any reason, without notice, at any time, and without liability to any Users. The User may not be notified of the change and will be responsible for promptly reading and complying with the new Terms. Continued use of the Service will indicate acceptance of and agreement with any changes to the Terms. Chineselawyersinfo reserves the right to modify or discontinue, temporarily or permanently, the Service with or without notice to the User. The User agrees that Chineselawyersinfo shall not be liable to the User or any third party for any modification or discontinuance of the Service. The User acknowledges and agrees that any termination of Service under any provision of this Agreement may be effected without prior notice, and acknowledges and agrees that Chineselawyersinfo may immediately delete data and files in the User’s account and bar any further access to such files or the Service. UNDER NO CIRCUMSTANCES WILL THE CHINESELAWYERSINFO PARTIES BE LIABLE TO YOU FOR ANY LOSS OR DAMAGES OF ANY KIND (INCLUDING, WITHOUT LIMITATION, FOR ANY DIRECT, INDIRECT, ECONOMIC, EXEMPLARY, SPECIAL, PUNITIVE, INCIDENTAL OR CONSEQUENTIAL LOSSES OR DAMAGES) THAT ARE DIRECTLY OR INDIRECTLY RELATED TO: (A) THE SERVICE; (B) THE CHINESELAWYERSINFO CONTENT; (C) USER CONTENT; (D) YOUR USE OF, INABILITY TO USE, OR THE PERFORMANCE OF THE SERVICE; (E) ANY ACTION TAKEN IN CONNECTION WITH AN INVESTIGATION BY THE CHINESELAWYERSINFO PARTIES OR LAW ENFORCEMENT AUTHORITIES REGARDING YOUR OR ANY OTHER PARTY’S USE OF THE SERVICE; (F) ANY ACTION TAKEN IN CONNECTION WITH COPYRIGHT OR OTHER INTELLECTUAL PROPERTY OWNERS; (G) ANY ERRORS OR OMISSIONS IN THE SERVICE’S OPERATION; OR (H) ANY DAMAGE TO ANY USER’S COMPUTER, MOBILE DEVICE, OR OTHER EQUIPMENT OR TECHNOLOGY INCLUDING, WITHOUT LIMITATION, DAMAGE FROM ANY SECURITY BREACH OR FROM ANY VIRUS, BUGS, TAMPERING, FRAUD, ERROR, OMISSION, INTERRUPTION, DEFECT, DELAY IN OPERATION OR TRANSMISSION, COMPUTER LINE OR NETWORK FAILURE OR ANY OTHER TECHNICAL OR OTHER MALFUNCTION, INCLUDING, WITHOUT LIMITATION, DAMAGES FOR LOST PROFITS, LOSS OF GOODWILL, LOSS OF DATA, WORK STOPPAGE, ACCURACY OF RESULTS, OR COMPUTER FAILURE OR MALFUNCTION, EVEN IF FORESEEABLE OR EVEN IF THE CHINESELAWYERSINFO PARTIES HAVE BEEN ADVISED OF OR SHOULD HAVE KNOWN OF THE POSSIBILITY OF SUCH DAMAGES, WHETHER IN AN ACTION OF CONTRACT, NEGLIGENCE, STRICT LIABILITY OR TORT (INCLUDING, WITHOUT LIMITATION, WHETHER CAUSED IN WHOLE OR IN PART BY NEGLIGENCE, ACTS OF GOD, TELECOMMUNICATIONS FAILURE, OR THEFT OR DESTRUCTION OF THE SERVICE). IN NO EVENT WILL THE CHINESELAWYERSINFO PARTIES BE LIABLE TO YOU OR ANYONE ELSE FOR LOSS, DAMAGE OR INJURY, INCLUDING, WITHOUT LIMITATION, DEATH OR PERSONAL INJURY. SOME STATES DO NOT ALLOW THE EXCLUSION OR LIMITATION OF INCIDENTAL OR CONSEQUENTIAL DAMAGES, SO THE ABOVE LIMITATION OR EXCLUSION MAY NOT APPLY TO YOU. IN NO EVENT WILL THE CHINESELAWYERSINFO PARTIES TOTAL LIABILITY TO YOU FOR ALL DAMAGES, LOSSES OR CAUSES OR ACTION EXCEED ONE HUNDRED UNITED STATES DOLLARS ($100.00). YOU AGREE THAT IN THE EVENT YOU INCUR ANY DAMAGES, LOSSES OR INJURIES THAT ARISE OUT OF CHINESELAWYERSINFO’S ACTS OR OMISSIONS, THE DAMAGES, IF ANY, CAUSED TO YOU ARE NOT IRREPARABLE OR SUFFICIENT TO ENTITLE YOU TO AN INJUNCTION PREVENTING ANY EXPLOITATION OF ANY WEB SITE, SERVICE, PROPERTY, PRODUCT OR OTHER CONTENT OWNED OR CONTROLLED BY THE CHINESELAWYERSINFO PARTIES, AND YOU WILL HAVE NO RIGHTS TO ENJOIN OR RESTRAIN THE DEVELOPMENT, PRODUCTION, DISTRIBUTION, ADVERTISING, EXHIBITION OR EXPLOITATION OF ANY WEB SITE, PROPERTY, PRODUCT, SERVICE, OR OTHER CONTENT OWNED OR CONTROLLED BY THE CHINESELAWYERSINFO PARTIES. CHINESELAWYERSINFO IS NOT RESPONSIBLE FOR THE ACTIONS, CONTENT, INFORMATION, OR DATA OF THIRD PARTIES, AND YOU RELEASE US, OUR DIRECTORS, OFFICERS, EMPLOYEES, AND AGENTS FROM ANY CLAIMS AND DAMAGES, KNOWN AND UNKNOWN, ARISING OUT OF OR IN ANY WAY CONNECTED WITH ANY CLAIM YOU HAVE AGAINST ANY SUCH THIRD PARTIES. Any controversy or claim arising out of or relating to this Agreement or Chineselawyersinfo services shall be settled by binding arbitration in accordance with the commercial arbitration rules of the American Arbitration Association. Any such controversy or claim shall be arbitrated on an individual basis, and shall not be consolidated in any arbitration with any claim or controversy of any other party. The arbitration shall be conducted in the County of Los Angeles, California, and judgment on the arbitration award may be entered by any court having jurisdiction thereof. Either the User or Chineselawyersinfo may seek any interim or preliminary relief from a court of competent jurisdiction in the County of Los Angeles, California, necessary to protect the rights or property of the User or Chineselawyersinfo pending the completion of arbitration. This arbitration clause does not prohibit either Chineselawyersinfo or the User from seeking to have the arbitration dismissed or judicially terminated on the basis the claims in arbitration action fail to provide a legal basis upon which a claim for relief may be granted. Any motion or action to dismiss must be filed in a court of general jurisdiction within the County of Los Angeles, California. Users can reach our Service from all fifty states. Each of these places has a different set of laws. Since Chineselawyersinfo cannot keep track of all these laws and their requirements, the Agreement and the relationship between the User and Chineselawyersinfo shall be governed by the laws of the State of California without regard to its conflict of law provisions. If Chineselawyersinfo fails to exercise or enforce any right or provision of this Agreement, that failure shall not be used to prove that Chineselawyersinfo has waived the right or provision. If any provision of this Agreement is found by a court of competent jurisdiction to be invalid, the parties nevertheless agree that the court should endeavor to give effect to the parties’ intentions as reflected in the provision, and that the other provisions of the Agreement remain in full force and effect. The User agrees that any claim you may have arising out of or related to your relationship with Chineselawyersinfo must be filed within one year after such claim arose; otherwise, your claim is permanently barred.